The Massachusetts Institute of Technology’s (MIT) Legatum Center for Development and Entrepreneurship together with the Mastercard Foundation has announced the 10 African startups selected as finalists for this year’s edition of the Zambezi Prize for Innovation In Financial Inclusion. The aim of the competition, which was established in 2015, to discover early-stage African fintech startups that are involved in promoting and championing innovation in financial inclusion on the continent. In all a collective $200 000 will be handed out in prize money. In a statement today (8 August) announcing the selected startups, MIT Legatum Centre executive director Georgina Campbell Flatter said the finalists represent some of the world’s “most innovative change agents”. 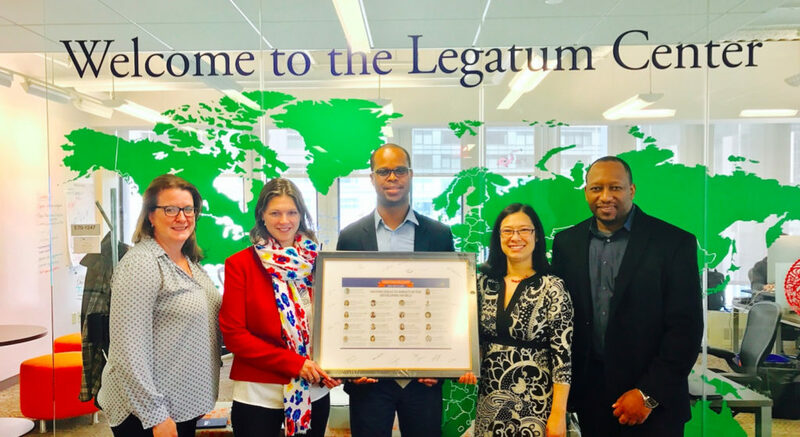 MIT Legatum Center global programmes manager Ali Diallo (pictured above, far right) said the finalists demonstrated “strong leadership and innovation” in the way they are solving financial inclusion challenges. “We also want to thank the hundreds of great startups that applied to this competition and shared with us their inspiring ventures, visions, and insights for advancing financial inclusion. We hope to keep them all engaged through our upcoming initiatives,” said Diallo. The finalists will on 28 and 29 August, join leaders from the MIT and African tech ecosystems at the 2018 MIT Open Mic Africa Summit in Nairobi, Kenya. The highlight of the two-day event will be the award ceremony where the grand prize winner will be awarded $100 000, with two runners up each receiving $30 000. In addition, the seven remaining finalists will each receive $5000 in cash prizes. The winners will also be invited to attend the Zmabezi boot camp during the MIT Inclusice Innovation Challenge (IIC) gala at MIT’s campus in Boston between 5 and 9 November. The finalists will also be fast-tracked to the IIC global grand prize — part of the MIT’s Initiative on the Digital Economy — where the winner stands to win up to $1-million in funding.